Node names are automatically assigned as each node joins a cluster. The names are constructed by combining the node prefix with a node ID number. 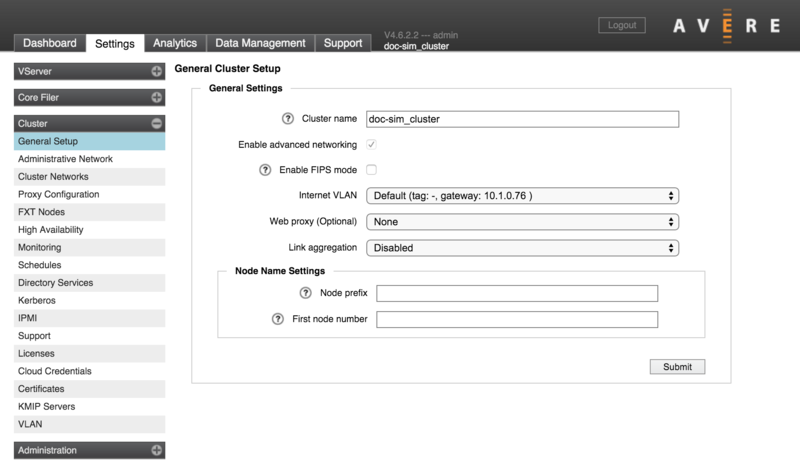 Use the Node Name Settings section of the General Cluster Setup page to configure the node names. Customizing these settings is optional. When you submit changes to the naming scheme, nodes that are already in the cluster are renamed to match the scheme. Any new node added will also be automatically named with the next available node name and number.